In a post-apocalyptic future, petrol and water are scarce. Daddy controls the water in Citadel and so controls the people. The young woman are Breeders to be used at will, the old women provide mother's milk, the men are turned into fanatical warriors bewitched by a cultish vision of glorious death and Valhalla. Into this world steps a hero. Not Mad Max but Imperatur Furiosa - Charlize Theron as a kind of Ripley - riding the War Rig to Gastown across the Badlands until she hangs a right and goes off-road to the Green Place, carrying Daddy's Breeders. So begins a two hour car-chase of epic and gonzo proportions. The war-rig, guarded by its henchman, gone rogue. Daddy following with all the martial glory of the Citadel - chopped up bikes and cars teeming with war-boys & a fire-breathing guitar not to mention all the gangsters roaming the sand-dunes. But Furiosa is better than them all, and this is her story, her journey and her redemption. Max? Well, Max is just a blood-bag, strapped to the front axle of a war-buggy with a blood transfusion feeding a war-boy called Nux. He's not peripheral. But he's not central either. The world of MAD MAX is Tatooine-Australia, its people something from Indiana Jones and Terry Gilliam, its tropes from the Western and penny-novel. If FURY ROAD feels derivative at times it's because George Miller did so much to create the language of the post-apocalyptic exploitation film. He created the wastelands and the steampunk style and was one of the first to feature a strong woman in a major role. I love the subversion of this film. That Max isn't really a protagonist at all. I love that the script doesn't really matter - that this is a spectacle - an epic visual experience in the best sense - like an old silent film with a spectacular score. Junkie XL is as much a director as Miller is. Which brings me to what MAD MAX FURY ROAD is here for. It's here to make you have a good time - to gasp in amazement at the sensory overload and the intricate visual world. This is cinema at its purest, at its most enjoyable and and its most primordial. Sometimes you don't need words. 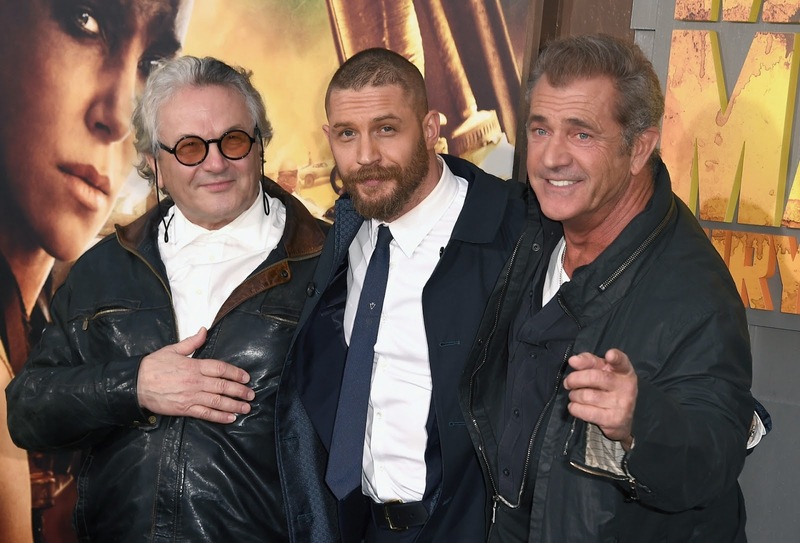 MAD MAX has a running time of 120 minutes, is rated R and is on global release.